Expensive rents are causing a high vacancy rate in the East Village, according to a real estate report. EAST VILLAGE — Rising rents are driving residents out of the East and West Villages, leaving the previously hot neighborhoods with the highest apartment vacancy rates in Manhattan, according to a report released Thursday. The East Village had a vacancy rate of 2.08 percent in August, and the West Village followed closely behind with a 1.58 vacancy rate, real estate firm Citi Habitats found. “The reality is these prices are getting to the point where tenants are like, ‘You know what? It’s not worth it,’” said Gary Malin, the company’s president. Although the East Village does not have the most expensive apartments in the city, tenants may feel they are paying too much and can find better value in other neighborhoods, Malin said. 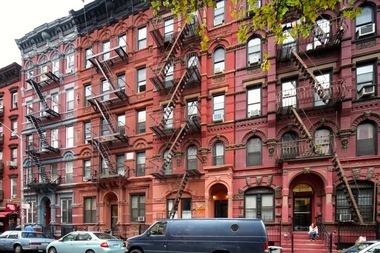 Studio apartments rented for an average of $2,191 in the East Village last month, while one-bedroom units went for $2,613, according to Citi Habitats data from the Manhattan Residential Rental Market Report for August. In the West Village, studio apartments cost $2,678 and one-bedroom apartments were $3,614, according to the company’s report. The average vacancy rate for Manhattan in August was 1.27 percent after rising two months in a row. Malin said it was unusual to see vacancies rise in the summer, because it is generally one of the busiest times of the year for apartment rentals. Development in other areas of the city, including Brooklyn and Queens, has made residents more open to venturing out of Lower Manhattan, bumping up vacancy rates, Malin said. “Places that were secondary became primary,” he noted. To generate more real estate activity in the neighborhoods, building owners will have to lower their prices or offer incentives like agreeing to pay the broker free or offering a month of free rent for signing a 13-month lease, he added.